The good people at Locust Moon decided to make a modern anthology book based on Windsor McCay's Little Nemo in Slumberland. They printed the book at full size, 16"X21", so it barely fits on any bookshelf and it's practically as large as a coffee table. 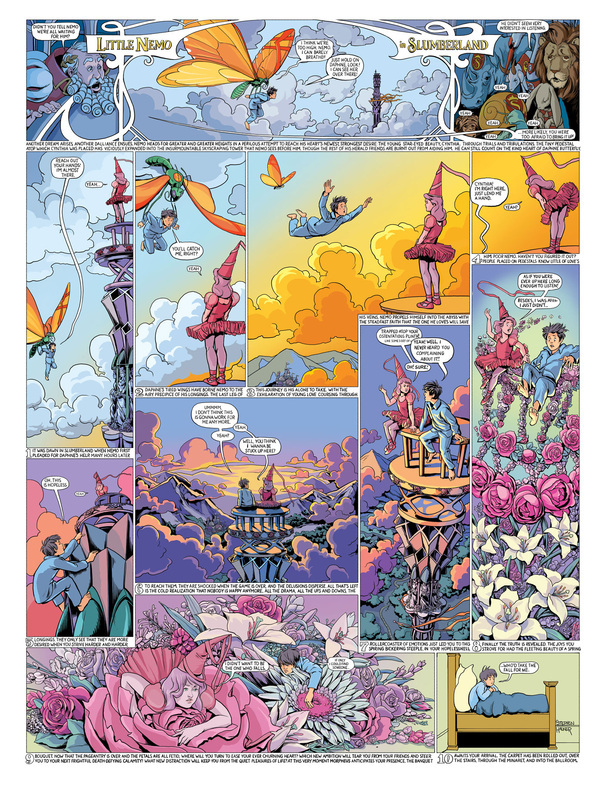 Locust moon collected the works of over 100 of todays best cartoonists to contribute to the Little Nemo narative. Artists include Mobius, Michael Allred, Paul Pope, Yuko Shimizu, J.H. Williams III, Charles Vess, David Mack, J.G. Jones, Craig Thompson, Paolo Rivera, Carla Speed McNeil, Bill Sienkiewicz, P. Craig Russell, Ronald Wimberly, Denis Kitchen, Jill Thompson, Stephen R. Bissette, Gabriel Bá & Fábio Moon, Farel Dalrymple, John Cassaday, Peter Bagge, Cliff Chiang, and myself.